Russell Arthur Mackowski, beloved husband of Nancy (nee Webster), dear father of Russell J. Mackowski and Steven W. Mackowski (Krystin), grandfather of Declan and Callum, brother of Joanne McMahan and the late Anne Marie Binder, and loving uncle of many. Preceded in death by his parents, Joseph and Eileen (Toseland) Mackowski. Russell graduated from Lincoln High School in 1968. He was a proud member of the US Army, serving in the Vietnam War in 1969-1970. He was married to his loving wife Nancy for 42 years. He retired from Ferry Cap & Set Screw Company after 36 years of service. Russell was a huge Cleveland sports fan and was happy to see the Cavaliers win a championship. 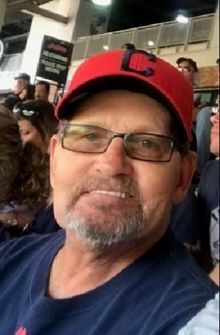 He never missed a Browns game and attended many Indians games over the years. Russell was an amazing person with a heart of gold who was loved by his family and many friends. He will be dearly missed.